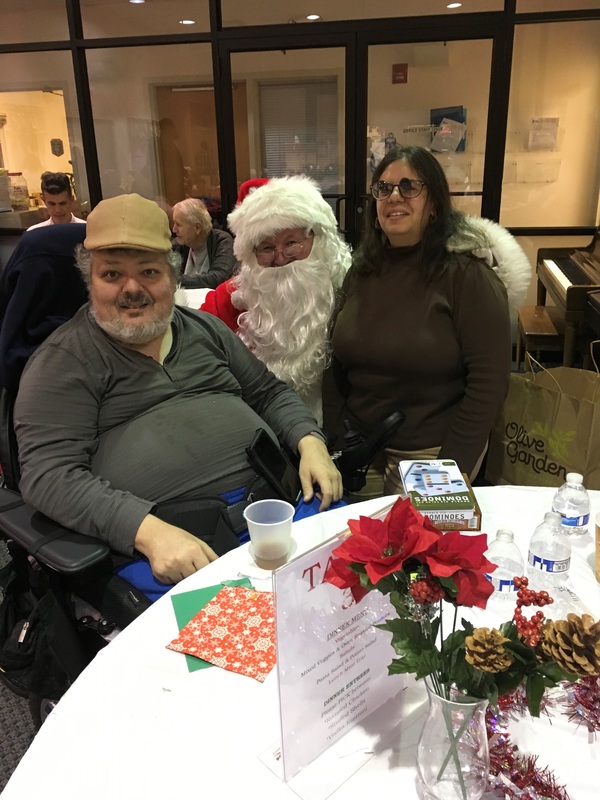 This past December Project Freedom at Lawrence held their annual tenant holiday party. 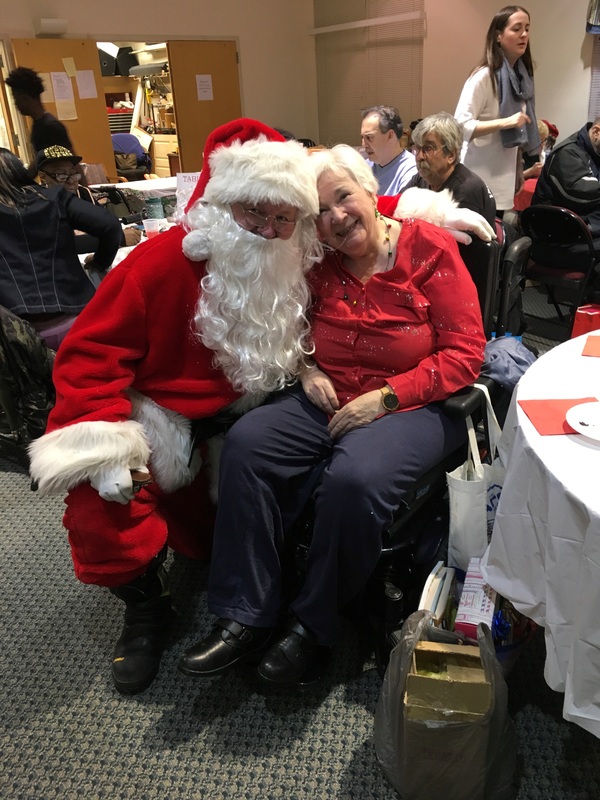 Thirty tenants plus guests enjoyed a night of fun, music, gifts, food and laughter. With the generous help of volunteers from Notre Dame and Somerville High School, Gene and Michele Menges, Deborah Heart and Lung Hospital and many anonymous supporters, the event went off without a hitch! As the tenants gathered in the entrance, many were sneaking peeks at the tables filled with gifts, anticipating the auction. After enjoying a delicious dinner from Chiarello’s, and getting halfway through the Chinese Auction, the star of the night showed up! Santa escorted by his elves from the Slackwood Firehouse came in ringing bells. 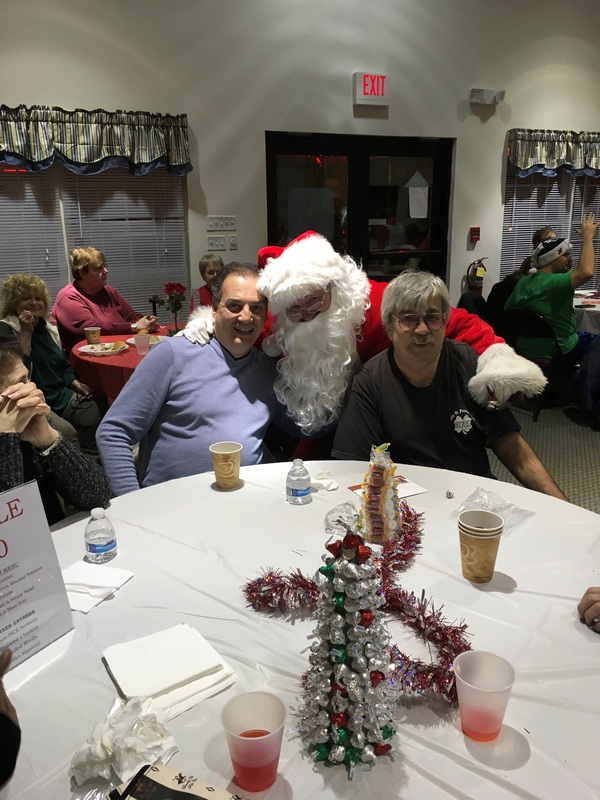 Santa made sure to stop at every table and take pictures with every tenant! The photos show laughing, smiling and pure bliss. All photos were printed out and delivered to each tenant’s front door to keep the memory of such a joyful evening. 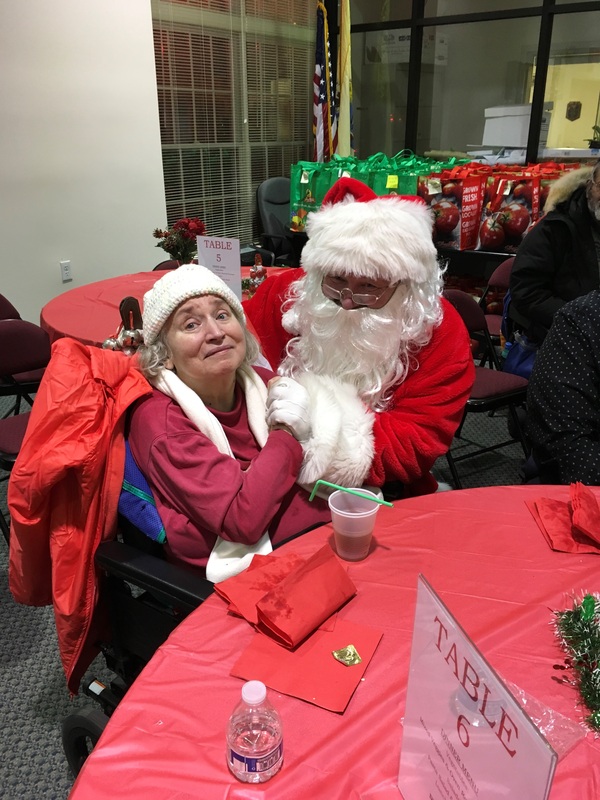 One tenant, began to cry as she expressed to Santa that his visit warmed her heart and lifted her spirits. 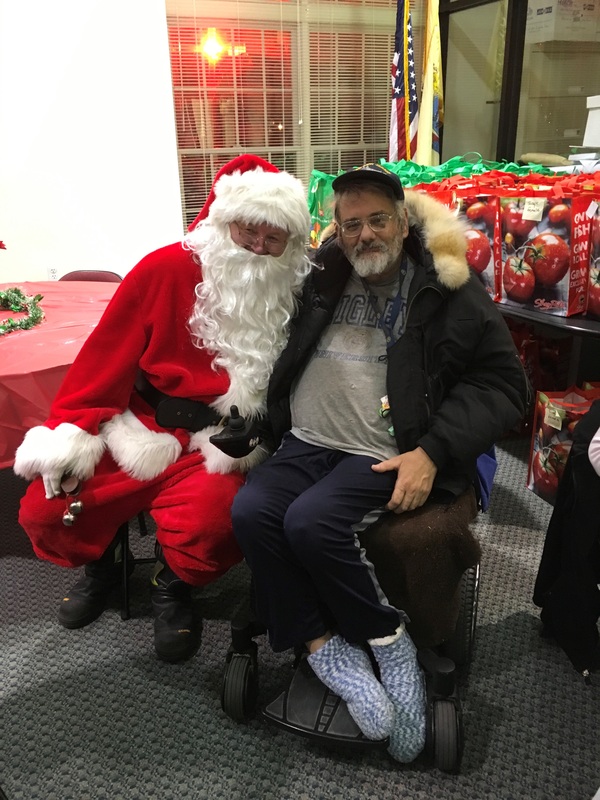 As Santa completed his rounds becoming clearly over heated by his attire, he stated how deeply moved and honored he felt to be a part of this special evening. 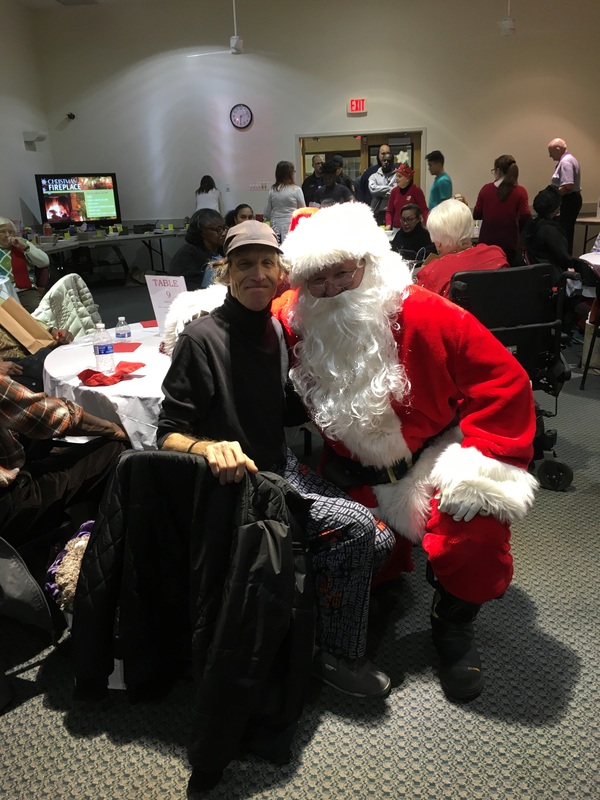 Santa said he could go on forever visiting with our tenants as his heart was warmed by the smiles on their faces. 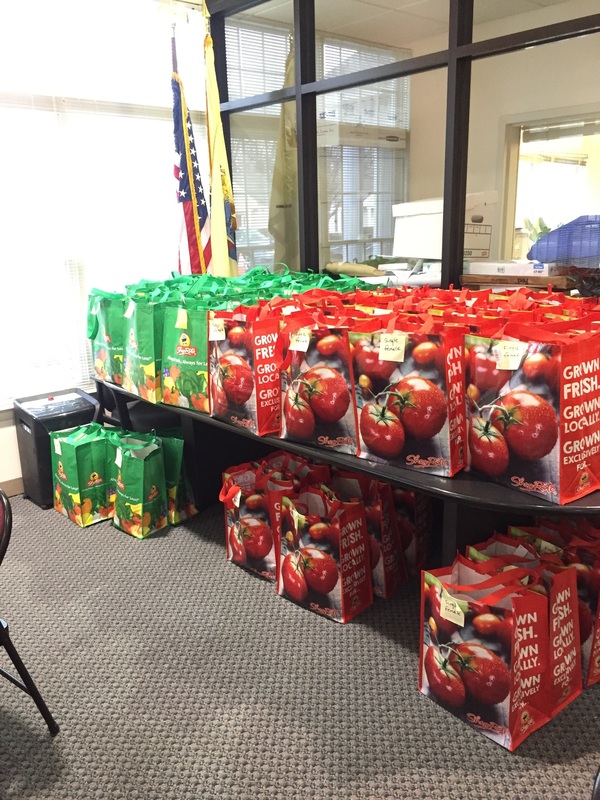 Every tenant went home not only with their own personal gift bag (donated by Michele and Gene Menges) but also with gifts won during our auction. 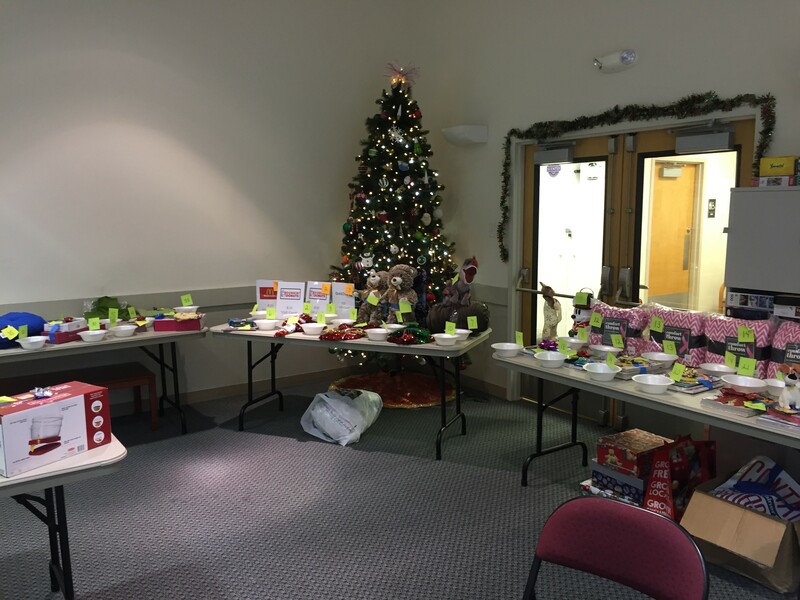 This auction had over 90 gifts up for grabs covering eight tables. These gifts ranged from coloring books to China dinnerware. None of this would have been possible without the generosity and selflessness of Deborah Heart and Lung Hospital! For the third year, the nurses and aides at Deborah have gone to extreme lengths to make a significant difference in the lives of so many. The hospital staff members not only donated gifts but also their time to help our tenants have an amazing and memorable holiday season. Staff and tenants at Project Freedom would like to thank these angels for all they do.